One-and-a-half hours north of Auckland on the East Coast near Leigh is an area rich with snapper swimming among seaweed forests, anemones and sponges. The thriving underwater world at Goat Island has been protected since the creation of New Zealand’s first marine reserve in 1975. The idea of protecting unique areas of coastline with marine reserves has proved successful, creating breeding grounds for fish and shellfish and protecting the complex marine ecosystems. We now have 44 marine reserves around the coast of New Zealand. They have been established in areas that contain unique and beautiful underwater scenery, with interesting natural features or marine life of distinct quality. Because of its close proximity to Auckland and its sheltered location, Goat Island Marine Reserve is a very popular place for people to explore either with mask and snorkel, kayak or scuba gear. The reserve covers five kilometres of coastline and extends 800 metres off shore. During my visit over summer I donned a mask, snorkel and fluoro wetsuit for a look at the underwater wonders. In the lee of Goat Island the clear calm water was a pleasure to dive in. I had barely adjusted my mask and rounded the first corner of an underwater reef when a large snapper peered into my mask. He didn’t seem to notice my surprise and continued on his way as other smaller fish circled around him. 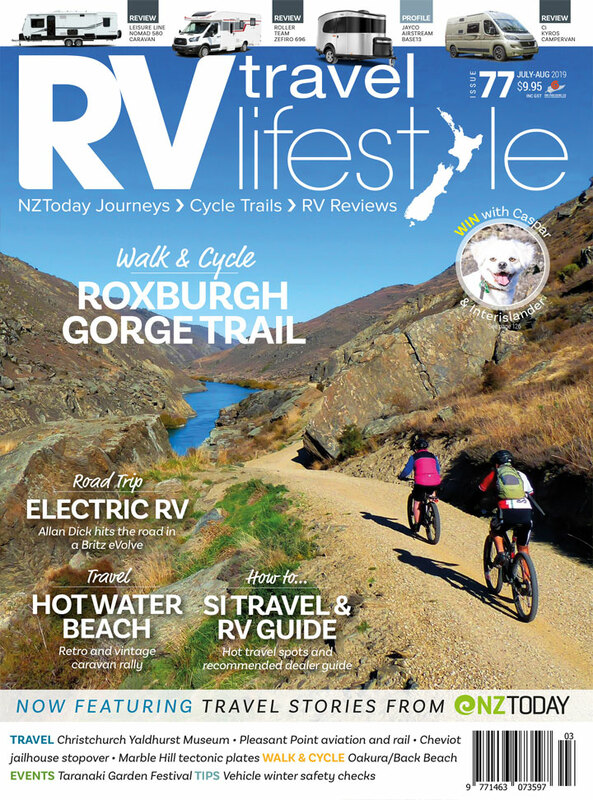 To read this and other articles on the RV Travel Lifestyle website please click here to sign up for a membership. Once a member and logged in, you'll be able to read all the articles on the site.